The Language code matching expression is used to select language from the end-user device. 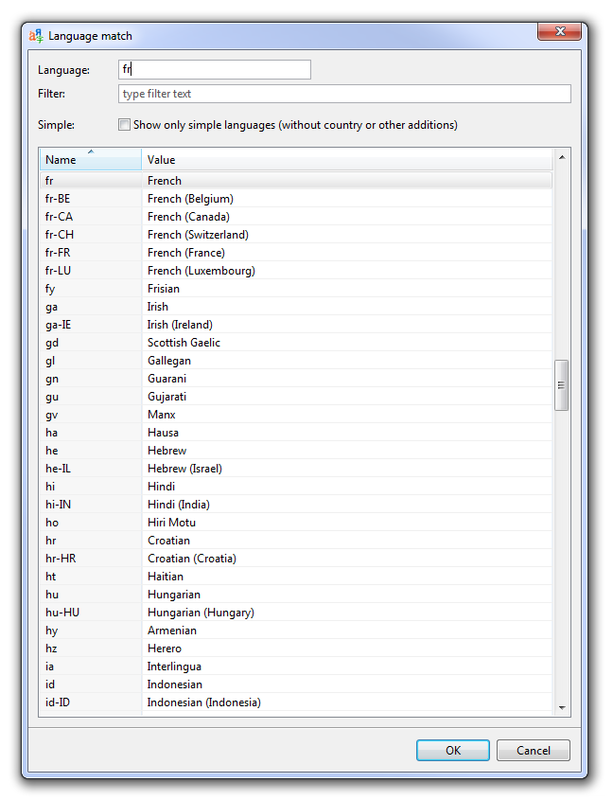 Language codes can be matched using simple languages (without country or other additions such a language variant, e.g. “en” for any English language). The language code selector expression is typically used when you require a certain UI for a region, e.g. you could create a selector that matches the languages available in the European Union because your application has legal information to display, and another for the Unites States. All languages will be shown when unselecting the Simple checkbox.